In a sport where your body recovery can make or break every inch you need on the field. 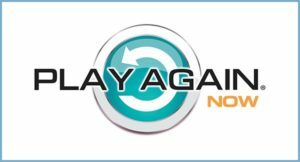 Play Again Now has been awesome for my recovery on tough days during the offseason. We push ourselves now so that when April comes and the games begin we will be mentally and physically ready to play into the post season. Play Again Now is a daily drink to combat body aches and pains for active people of all ages. Clinically-proven safe and effective in less than 7 days. Active ingredients include high molecular weight hyaluronic acid (HA) and MSM. HA is produced naturally in the fluid that protects muscles, tendons, ligaments, joints and connective tissue. HA hydrates and lubricates and acts as a shock absorberthroughout the entire body. MSM is an organic form of sulfur widely known as an effective agent in fighting inflammation. Taken daily as directed you will find less stiffness and soreness and added flexibility and mobility. The U.S. Food and Drug Administration has not evaluated these statements. This product is not intended to diagnose, treat, cure or prevent disease. 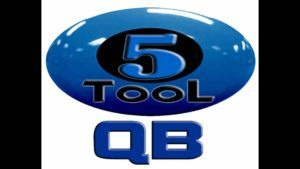 Elite QB Training from pop warner to pros. Knengi Martin and Katie Ott are among a handful of Rebellion players who are working with coach Cree this off season. Go to www.elevatedathletic.com and click on the Team Elevate icon in order to pay online for your sessions. 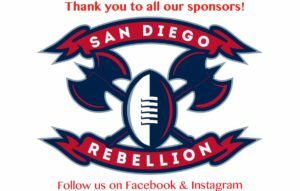 Our 5th Qtr Sponsor! 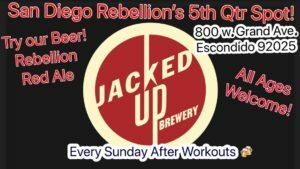 Join us there every Sunday after workout. They have great beer and tvs with games on. Don't forget to try the Red Rye Rebellion Ale! It's named for us!